Fighting for Patent Reform in Washington, D.C.
EFF primarily fights awful software patents with legal challenges, explaining to judges how trivial non-innovations aren’t worthy of a government-granted monopoly, which bad actors then wield to bully small businesses and users into forking over huge sums of money. With every busted and narrowed software patent—like the recently tackled podcasting patent—we’re another step closer to protecting the future of innovation. This month, we’re taking a different approach. 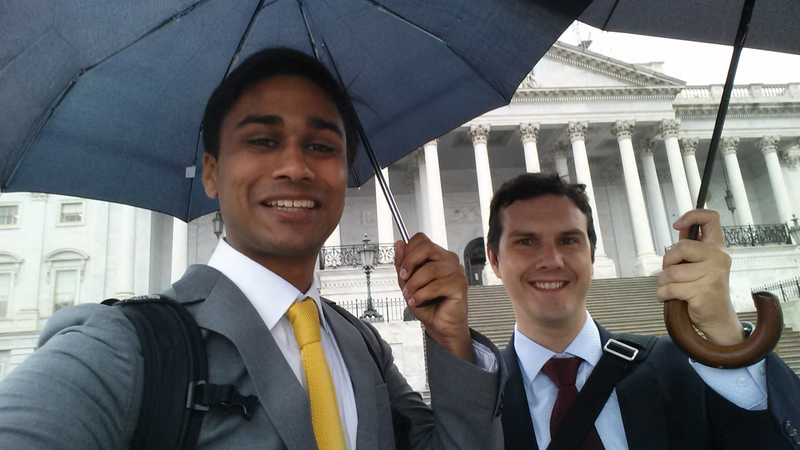 I’ve spent two weeks in Washington, D.C., with my colleague Daniel Nazer, educating members of Congress and their staffers about how the current patent system hurts innovation and free speech and what they can do about it. We also shared our concerns with staff at the Patent Office and the White House. 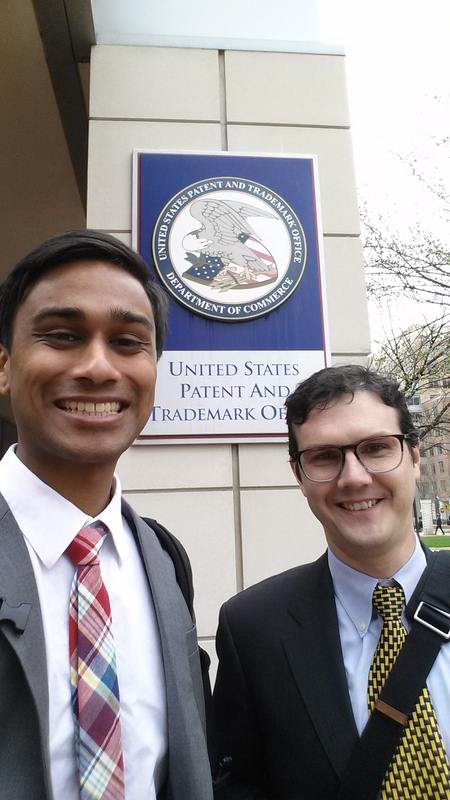 The main focus: Defend Innovation, our newest report on our broken patent system. This report is more than just EFF’s ideas for patent reform (though it includes many of those). It’s the result of more than two years of research, interviews, and data collection. We surveyed the concerns of software developers, entrepreneurs, legal professionals, students, and everyday technology users affected by the current patent system. We held town halls at major tech companies in Silicon Valley and interviewed individual programmers, and we launched a petition where users could submit comments and share their feedback on proposals to address these issues. Over 16,500 of you spoke up. All of this research culminated in over thirty pages that highlight just how broken the current patent system is: not only does it create a chilling effect on innovation and new technologies—exactly opposite of its intended goal—but it is readily abused by bad actors and patent trolls. Daniel and I are meeting with dozens of policy makers and co-hosting a briefing on the Hill, alongside our friends at R Street and Public Knowledge. Not only are we spreading stories about the worst abuses of the patent system—including that of our latest client, Ruth Taylor, a photographer sued for hosting photo competitions on her hobby site—but we’re laying out clear steps to address them. Many of these are in line with current legislative reform proposals, such as the House’s Innovation Act. 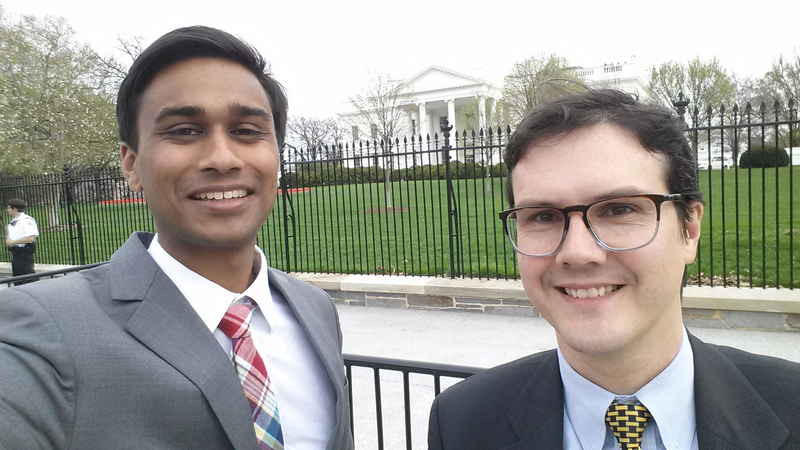 This trip to Washington is the final piece in our three-year Defend Innovation project. We’re going to be assessing the results of the campaign and thinking about what we should do next to fix software patents. Thanks to all the EFF supporters who contributed to this project. You've infused vital public interest concerns into the conversation about fixing patents, which has brought real reform within reach.